Dr Lucie Newsome is a lecturer in political economy and employment relations. Her research activities focus on the influence of gender in politics, policy and business, particularly agribusiness. 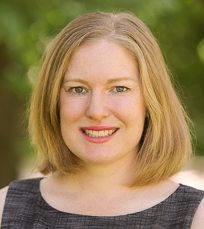 She has published in regional journals including the Australian Journal of Political Science, the Australian Journal of Politics and History and the Australasian Agribusiness Review. Formerly, Dr Newsome has held senior policy and project roles in the New South Wales and Queensland Governments. Gender; politics; policy; employment; SMEs; agribusiness; agriculture; regional economies; and the National Disability Insurance Scheme. Dr Newsome represents Australia in the Gender Equality Policy in Practice Project, an international research network that examines the gendered impacts of public policy. As part of this network Dr Newsome (in authorship with Professor Alison Sheridan) will contribute to an edited book on Australia’s policy of self-regulation to improve the numbers of women on ASX boards. As part of the Gender Equality Policy in Practice Project- Care Network, Dr Newsome continues to write on the gendered impacts of paid parental leave policy in Australia and on gender equality policy in the Australian context. In collaboration with Dr Theresa Smith-Ruig, Dr Newsome is currently undertaking research that examines the constraints and opportunities faced by female leaders of agribusiness firms. Dr Newsome also works with Professor Alison Sheridan to examine the professional agribusiness services sector, the role of women in leading these firms and the gendered impacts of farm succession planning. Newsome, L and Sheridan, A. (2018). “Taking Stock: Identifying the Growing Agricultural Service Sector in Australia”,Australasian Agribusiness Review, 26(1). Newsome, L. (2017).“Female leadership and welfare state reform: the development of Australia’s first national paid parental leave scheme”, Australian Journal of Political Science, 52(4): 537-549. Elliott, S., McCrea, N., Newsome, L. & Gaul, J. (2014 unpublished). Project Investigating early childhood education and care services environmental education programs: Final Report. Sydney: NSW OEH ET & NSW ECEEN. Newsome, L., Sheridan, A. and Smith-Ruig, T. (2019). Producers of food and creators of social value: Women and alternative agriculture. Australasian Agricultural and Resource Economics Society Annual Conference, Melbourne. Newsome, L. (2018). Strategic alliances with women ‘on the inside’: The Development of Paid Parental Leave in Australia. Nordic Work + Life Conference, Oslo. Newsome, L. and Sheridan, A. (2018). Gender segregation in agribusiness services: Mapping the terrain. Gender Work and Organisation Conference, Sydney. Newsome, L. (2013). The Development of the Maternity Allowance in 1995. Association of Industrial Relations Academics of Australia and New Zealand Conference, Perth. Newsome, L. (2013). Attempts to Introduce a National Paid Maternity Leave Scheme in the Years of the Howard Government. Community, Work and Family Conference, University of Sydney, Sydney. Newsome, L. (2014). The Role of Elite-level Women in the Development of Paid Parental Leave Policy in Australia. University of Queensland, St Lucia, unpublished thesis. Gender in the workplace; mentoring; paid parental leave; pay equity; regional businesses and growth.